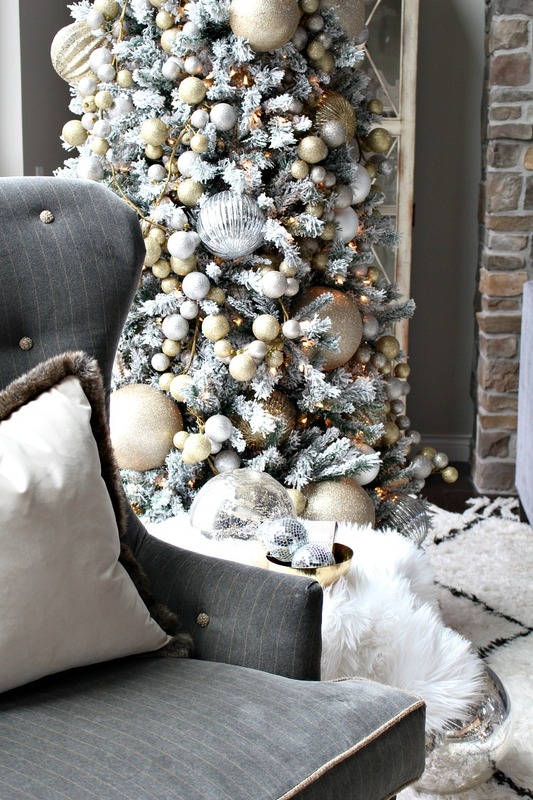 Hello & WELCOME to the Decked + Styled Christmas Tour! I’m so happy you’ve stopped by! If you are coming over from my dear friend Erin’s home (Sunny Side Up)…..pick your jaw up off the floor. Isn’t her home so beautiful?! I got to visit her earlier this year and let me just say her San Diego home is even more gorgeous in person. 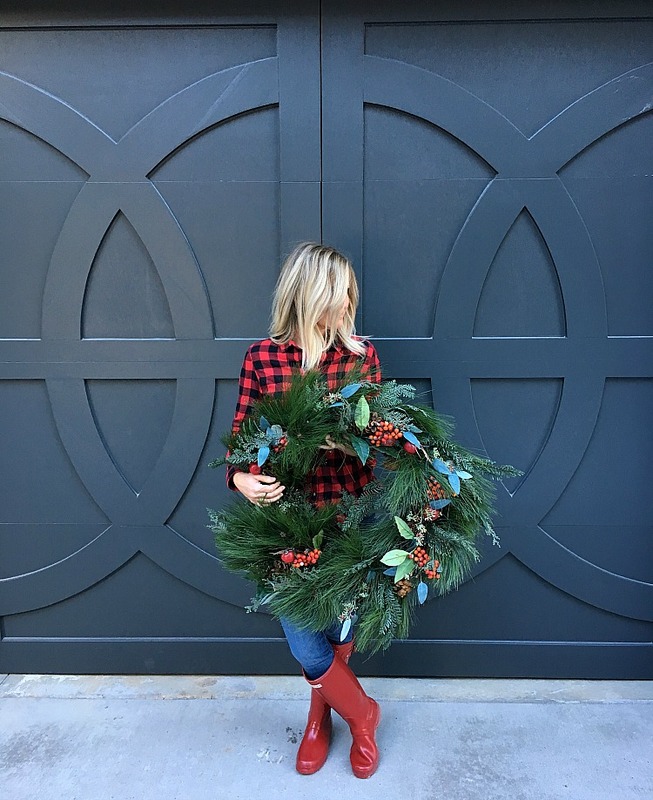 I’m so honored to be participating in this Christmas tour with this fabulous group of bloggers. 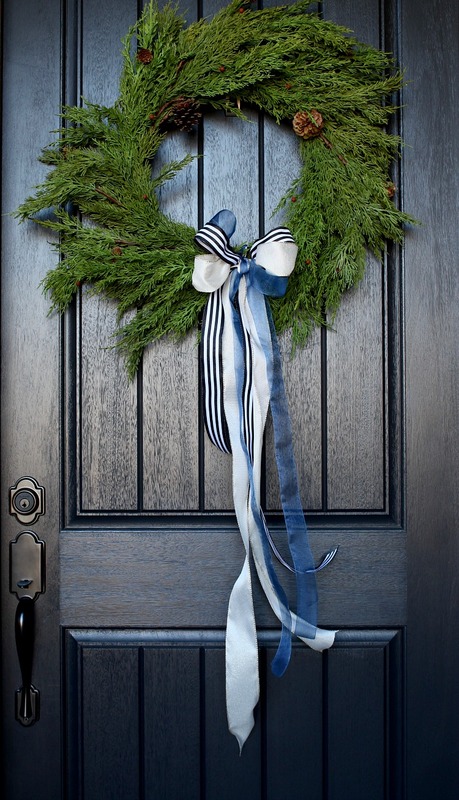 I hope you visit each home and enjoy all the festive decor. I’ll have them all linked at the end of my tour for you to hop on over. I can’t help but look back on the 7 wonderful years we have had in our current home and feel so blessed and overwhelmed with nostalgia. Saying farewell is definitely bittersweet. I knew going into this holiday season that I would need to scale back in how I normally decorate our home. Last year, we had five Christmas trees. Maybe a bit excessive, but I just love walking into a room and seeing a twinkly light tree. 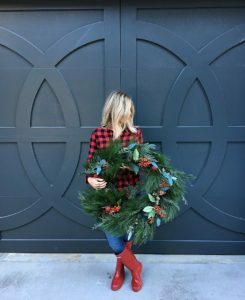 With the new home consuming all of my time, along with all the social gatherings and holiday parties that go along with this season, my tour is very simple this year. Actually, I’m loving simplicity. All of our Christmas decorations were already packed up since we thought we would have moved by now. I didn’t feel like unpacking it all so I got creative with a few items that were readily accessible. I love these disco ball ornaments, especially when they reflect lights all over the room and ceiling. I’ll turn on “Last Christmas” by Wham and have my own dance party, disco ball lights and all. 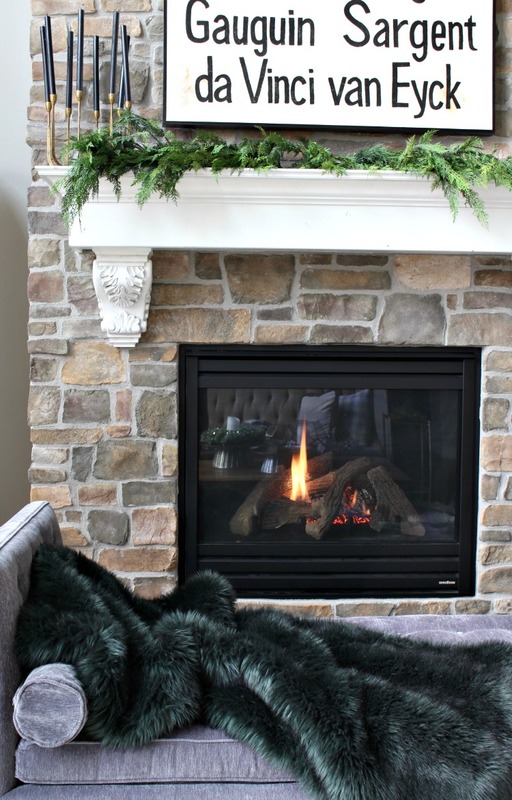 Our favorite cozy spot is right here by the fire. Our mantel is still displaying the black candles from halloween, but I’m loving them this time of year too. 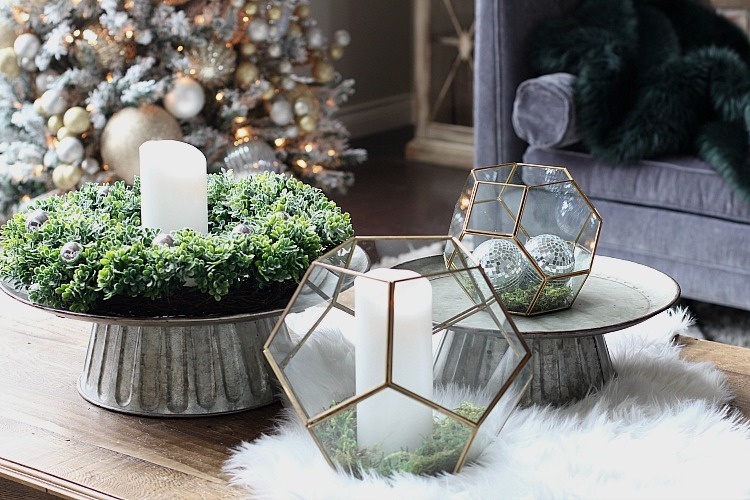 Who says Christmas candles need to be red, green, gold or white? White fur is draped on my end table, coffee table and kitchen (we’ll get there in a minute). These cold winter months here in Colorado make we want to fill the rooms with layers of fur. I’m looking forward to a very casual and relaxed Christmas day with just our family of boys. 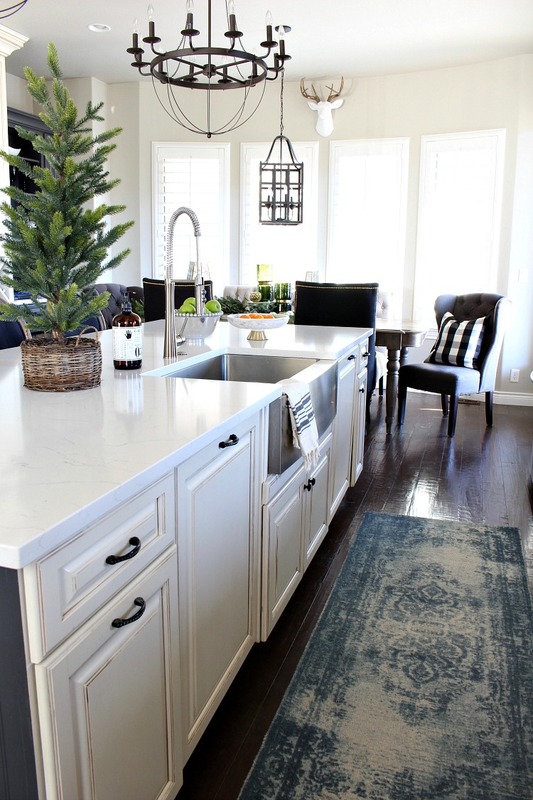 We hosted Thanksgiving this year and although I love to host and fill our home with family, it’s just a lot of work. This Christmas I fully plan to spend the day in my pajamas. Hoping for snow too! 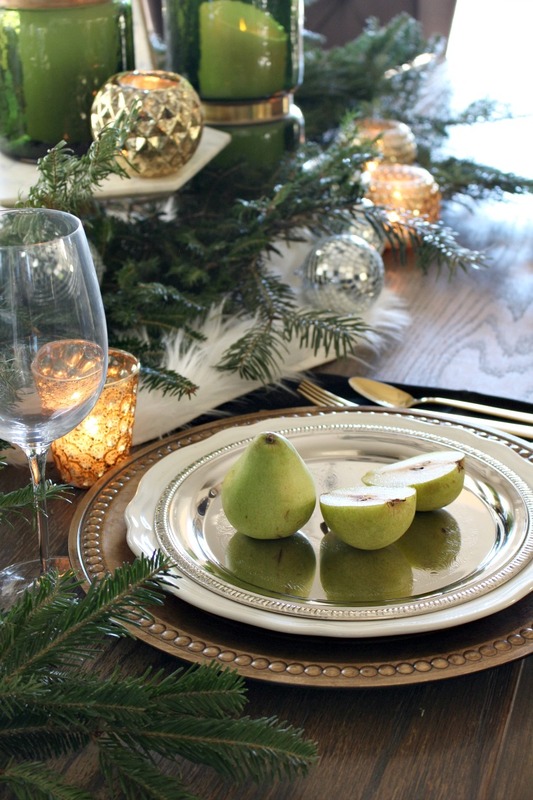 If you are planning on hosting this year and need a simple, yet elegant table, I’ve got a few easy tips for you. Create a base layer. 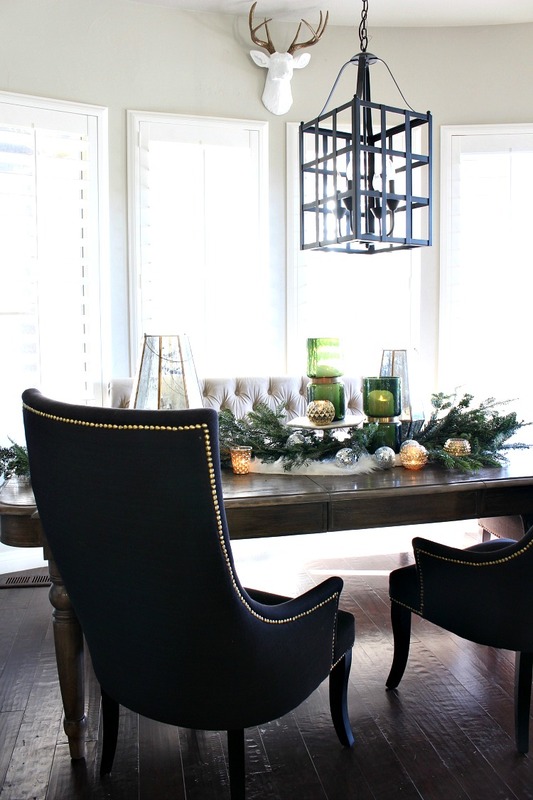 Personally, I tend to avoid tablecloths since they stain but you can add one if you like. I used a white fur like this one as my base to add beautiful texture. Go to your local tree lot or any place that sells Christmas trees and take advantage of the free tree trimmings. I picked mine up at Lowes and after 24 hours on my table, they still look fresh and pretty. Mix and match candles and candle holders. I mixed metallics, gold and green. 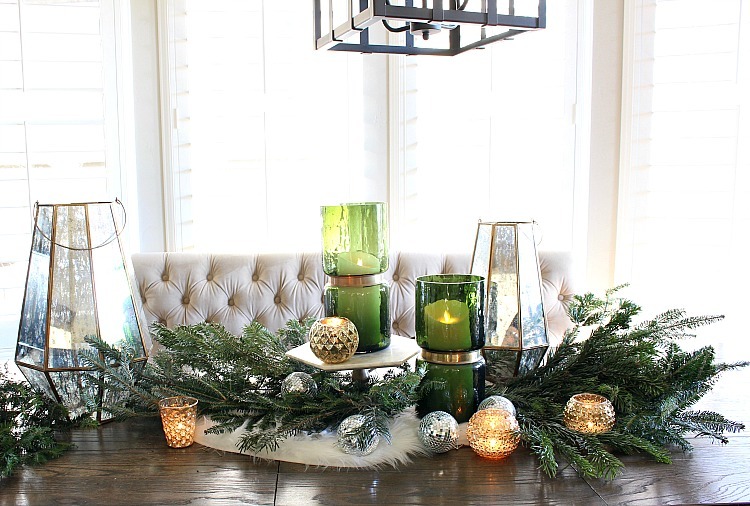 Illuminate your table from one end to the other with glowing candles. 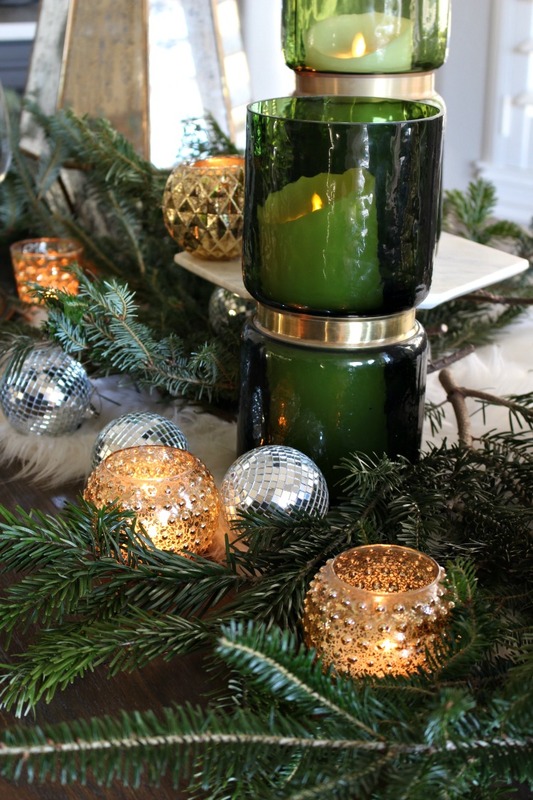 Tuck ornament balls into the greenery. If you are really a sleuth you’ll notice I rearranged my island for the photos. It happens. I like options. 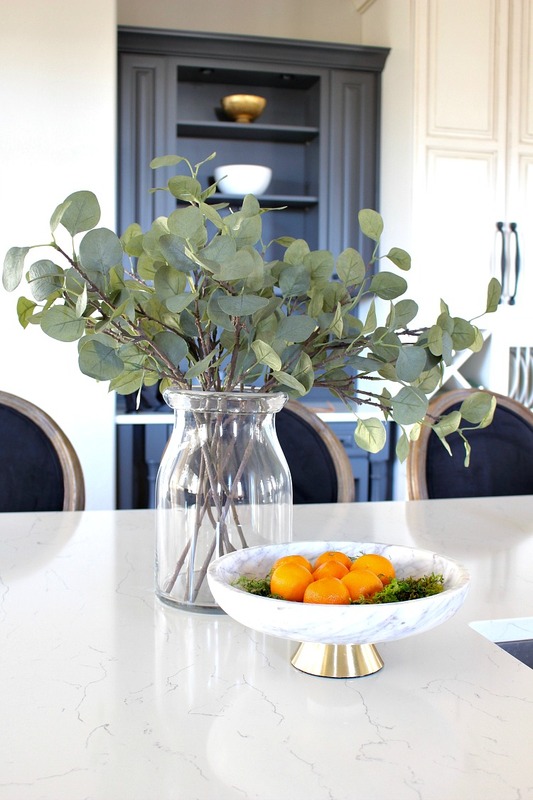 I picked up these eucalyptus stems from IKEA and plan on using them year round. 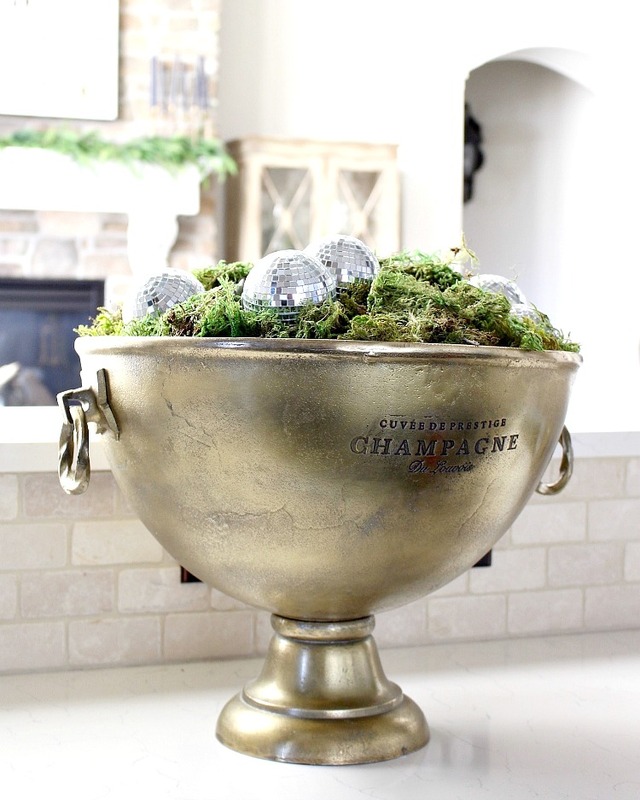 We always have fruit in fun bowls, but to make it more festive, I added a bit of moss. The boys asked me what I want for Christmas and of course my first response was “a day of no bickering” (any momma’s relate??). 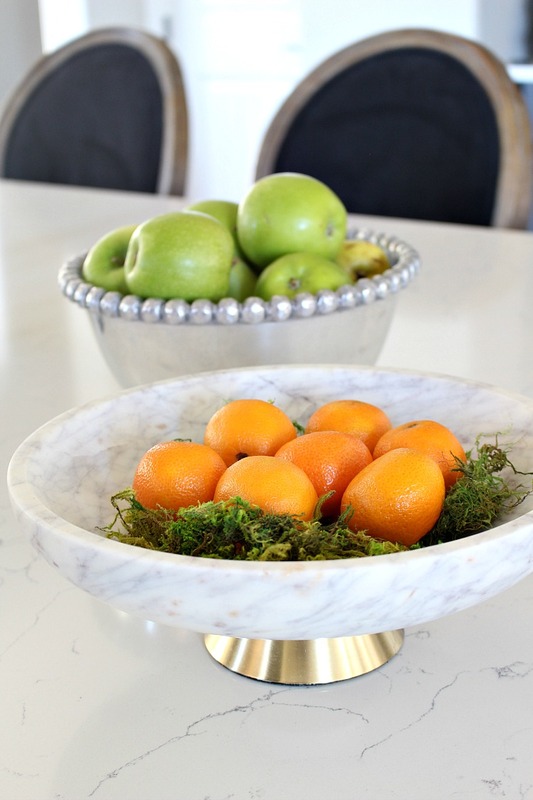 Then I said I’ll take two more of this marble and brass bowl. When I love something I tend to want it in twins or triplets. Big plans for those bowls in the new house! 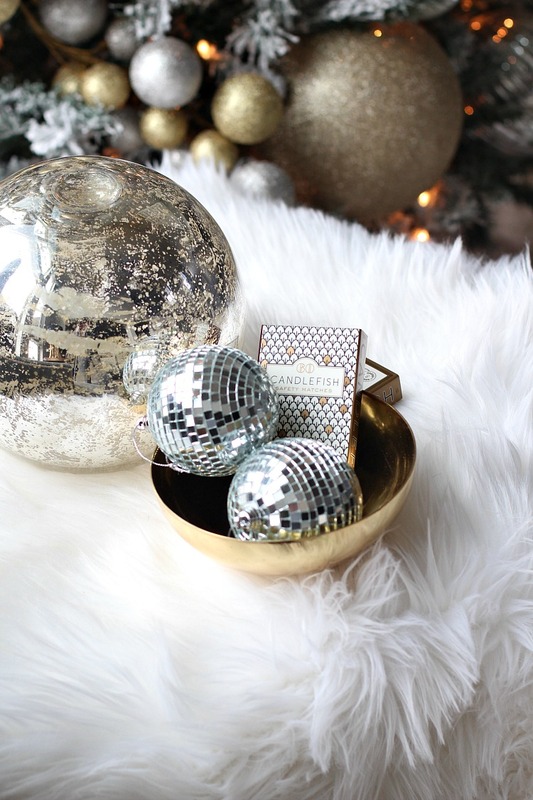 And last, more mini disco balls to make the room more festive and bright! Thank you so much for stopping by for our “farewell to this home” Christmas tour. 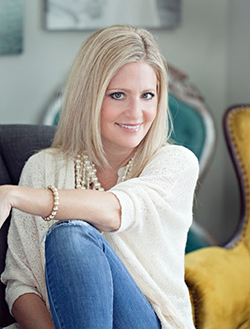 Also, a big thank you to our fabulous host, Bree, at ZDesign At Home for organizing another great tour! 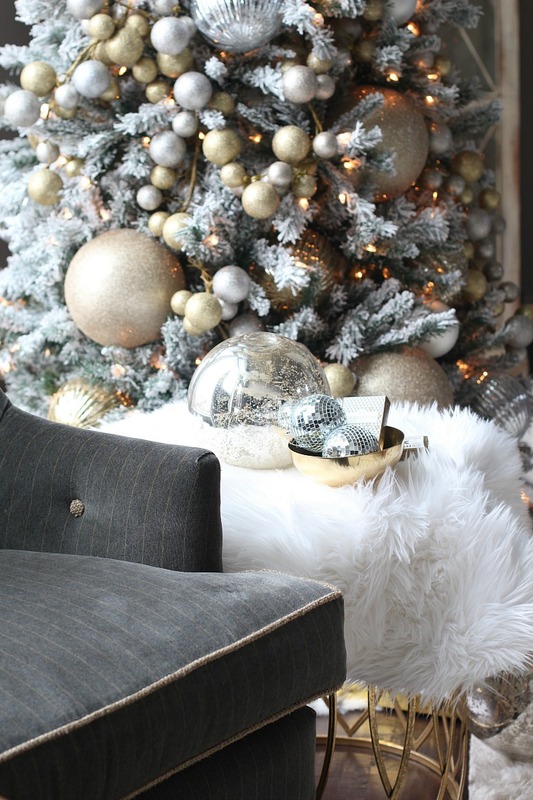 Next, on the Decked + Styled Christmas Tour is my friend, Jen at Style House Interiors. Be sure to visit all of these homes in the tour! You can find more sources of our Living Room HERE. 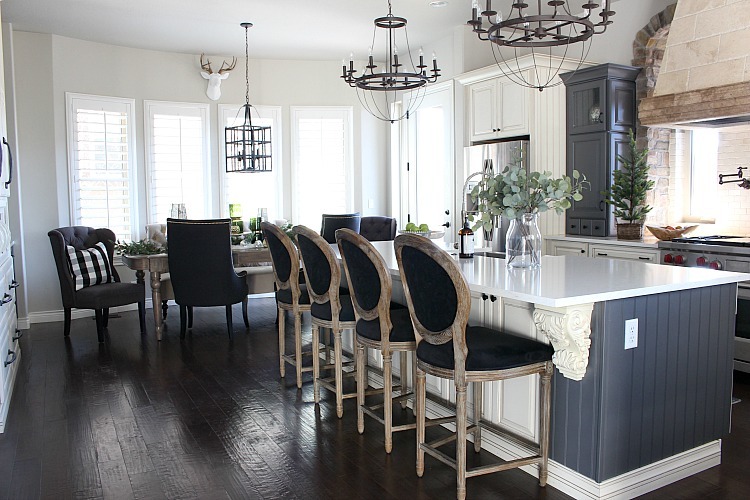 You can find more sources of our Kitchen HERE. 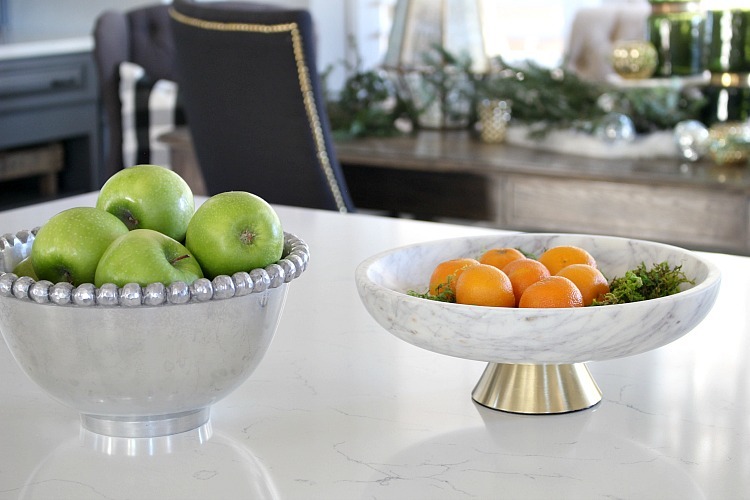 Read all about our new home journey, The Forest Modern HERE. Better yet, subscribe to my blog to stay up to date with it’s progress and watch us move closer to move in date! Thank you Megan! (xoxo) We’ll make lots of wonderful new memories at The Forest Modern soon! Thank you Chloe! Merry Christmas! 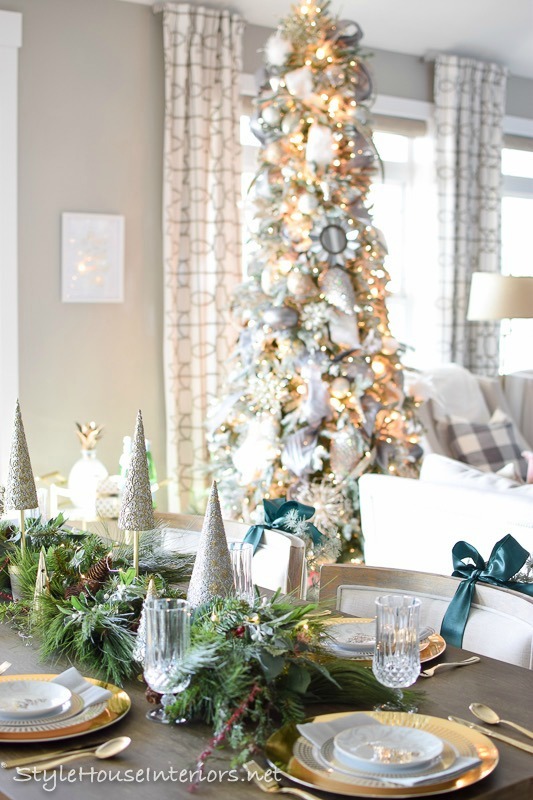 Shauna your home looks beautiful and I hope you and your family enjoy your last Christmas there! Thank you Lisa! Merry Christmas to you! Wow!! I love the colors in your house! Your Christmas decor is phenomenal. I love everything you do! Thank you Megan! Merry Christmas to you and your cute family! Shauna, you would never know this is “more simplistic”. It’s gorgeous! And, you’ve brought in the perfect amount of everything. Each detail, down to the moss, is so cozy. I would do anything to come lounge with you, light a fire, and chill in our pjs while the snow falls outside! I am SO excited to see what’s next for TFM!